Today we went in for our Nuchal Translucency Ultrasound. You know the one that measures the fold in the back of babies neck to see if they have Down Syndrome. 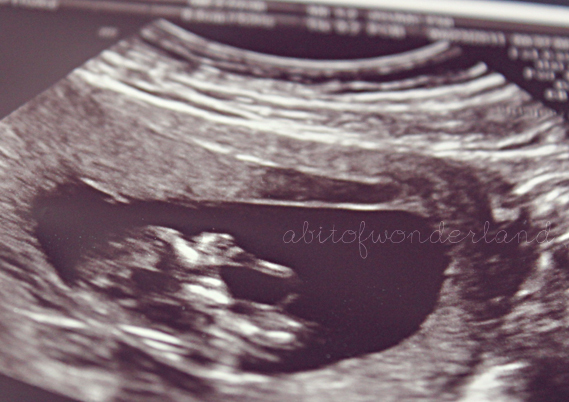 Everything was looking great, our little bean was a bit shy and was covering his face with his hand. So cute. I was amazed at how much he had grown in a matter of a few weeks! His heartbeat was nice and strong. A few days later we go the call from the doctor that everything was looking great.